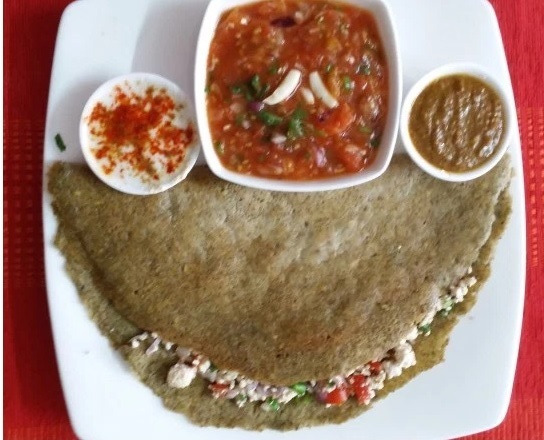 ” Hare Moong Ka Chila” is healthy breakfast food . It is usually served with Tomato chutney . For variations you can stuffed with Paneer or Vegetable. Add salt,rice flour and mix well till it become light. Sprinkle little oil and cook till one side brown and flip it and cook it on the other side.